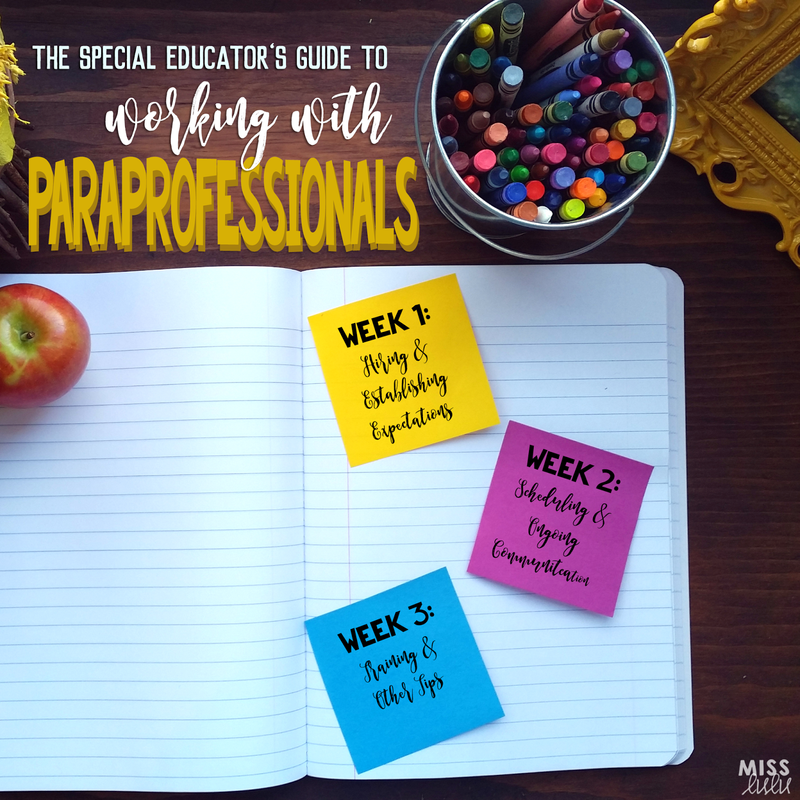 Welcome to the final week of my series, How to Work with Paraprofessionals. You can read the first two posts here and here. This week we are going to talk about training and other tips for ensuring a positive, cooperative, team relationship with your paras. I cover a majority of my training at staff meetings, which I talked about last week. Each meeting, I choose a topic that I feel we either need further training or a quick refresher on. At the beginning of the year, I cover three major areas- Behavior Basics, Effective Teaching, & Data Collection and Assessment. These three areas cover the majority of skills that paras need for teaching and working with students in the classroom in general. This gives them the tools they need to be successful. Every para, regardless of who they work with, needs to know how to handle minor behavior, the principles of basic instruction and corrections, and how to record data. I provide this training at staff meetings because it saves time for me to train everyone at once. 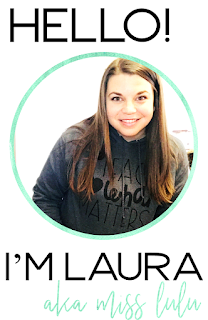 I can provide specific examples and non examples and as they get to know the students, I can give them examples that relate directly to the students they work with. The remainder of the training I give during the school day individually. I provide training the same way that I would teach a skill. First, I model it. I have the para just watch me. I want them to have an example of what it should look like. Then, I have them run while I observe and assist as needed. Finally, I let them go and they run it independently. After everyone is trained, I spend a couple days rotating around the classroom, answering questions, and giving feedback (my groups play games or do activities with peer tutors). The whole training process takes several weeks, but I find that the time put into it is well worth the outcome. I want to ensure that programs are run with fidelity and data is collected accurately. There have been years that I have slacked on my training and I find myself frustrated by the end of November. I have to remind myself that my aides are only able to do what they know how to do. If I expect something, I need to make it clear and be sure they understand. Taking the time at the beginning of the year will eliminate frustration and burnout for you and your paras later in the year. A few final tips for you that I have learned from first hand experience. Treat your paras as equals, especially in front of your students. In my classroom, I refer to everyone as a teacher. This helps to teach students that they must listen to para instructions as well. Limit socializing and personal chat during the school day. I love my paras and I care about them and their personal lives. But I rarely initiate personal conversation during the school day. When students are at school, our focus is on them, not gossiping about our lives. It's important to model and encourage professional behavior. Encourage and allow paraprofessionals to be a part of the school. Invite them to faculty events and introduce them to other teachers. It's easy to feel segregated in special ed, especially as a paraprofessional. Keep them busy! Have things for staff to work on if students are absent. Create a system that allows for staff to work on thing without having to ask you what to do. I shared a great checklist for this last week. Show them how much you appreciate them! We could not do this job without the assistance of paraprofessionals. They are a valuable part of your team and your classroom. Make sure they know it. Grab this Training Tips Booklet and make sure to download the other freebies that were posted over the last few weeks. I hope you were able to find some valuable information and I wish you a successful school year!